Some employees who work in the private sector have access to 401k plans to save for retirement. These plans replaced most, if not all, traditional private company pensions, and have their benefits as well as their disadvantages. Government workers usually have different plan options that are similar to 401k plans and allow for retirement savings, in addition to traditional pensions. Members of the military have access to a similar retirement savings plan, known as the Thrift Savings Plan, which can help increase their retirement income. The Thrift Savings plan is a defined contribution plan created by congress in the Federal Employees’ Retirement System Act of 1986. This plan is also available to all federal employees. Participation in the plan is voluntary, and members of the military can choose to withdraw from participation at any time. The Thrift Savings Plan does not replace a VA pension, and can be paid in addition to pension benefits in retirement. This is one of the reasons why it is a good idea to take advantage of investing in the plan in order to supplement retirement income, even if you are expecting a pension and other benefits. A person contributing to the Thrift Savings Plan will eventually receive a benefit amount that is dependent on the amount the person contributed and the earnings or losses on the contributed amount. The investment funds are chosen based on the date of retirement, and there are enrollment periods, as well as contribution limitations. For example, the current limit for contributions to the plan is $18,000. There are also catch up contribution amounts available for military members meeting certain criteria. Contributions to the Thrift Savings Plan can be taken out pre-tax in order to save the contributor more money. Alternatively, the contributor can choose to make contributions with after-tax dollars and pay taxes now instead of at the time of withdrawal in retirement. This can be a good option if the contributor expects to go up a tax bracket in retirement. The Thrift Savings Plan is only available to active military members. Therefore, if a member has left active service, he or she can no longer make contributions to the plan. The money in the plan still belongs to the contributor, and will eventually be paid out if left in the account. However, some members choose to roll over the money into a traditional or Roth IRA, or even a private company 401K plan. Some people may choose to make a full withdrawal of the contributions and any earnings upon leaving the military. Withdrawing funds like this would result in penalties and taxes, and reduce the amount contributed or earned in the account by about twenty percent. Active military members and veterans have different financial resources and benefits available to them for retirement planning than non-military members. 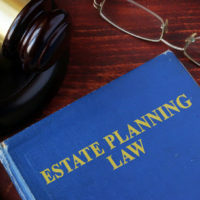 Veterans considering putting together an estate plan should work with an attorney with experience in veteran benefits, especially for long term care. For more information on how we can help, contact an attorney at the Millhorn Elder Law Planning Group located in The Villages, Florida today.